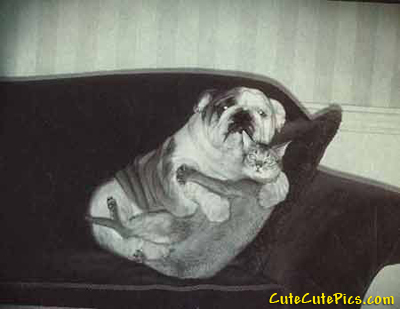 I've always loved the priceless expressions in this photo of the English Bulldog and Cat caught making out on the couch. It's been all over the Internet for years. But, who shot it and who is that Bullie? Anybody?